Exceptionally easy to sand by hand or machine. Convenient kit packaging for easy storage and transporting. 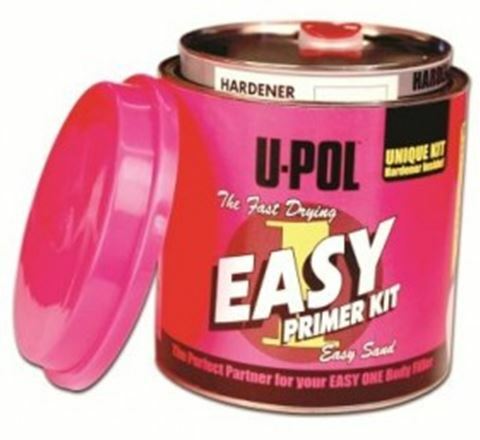 EASY ONE Primer kit is supplied with U-POL Fast Hardener. 3. Tintable with up to 10% with acrylic mixing base.